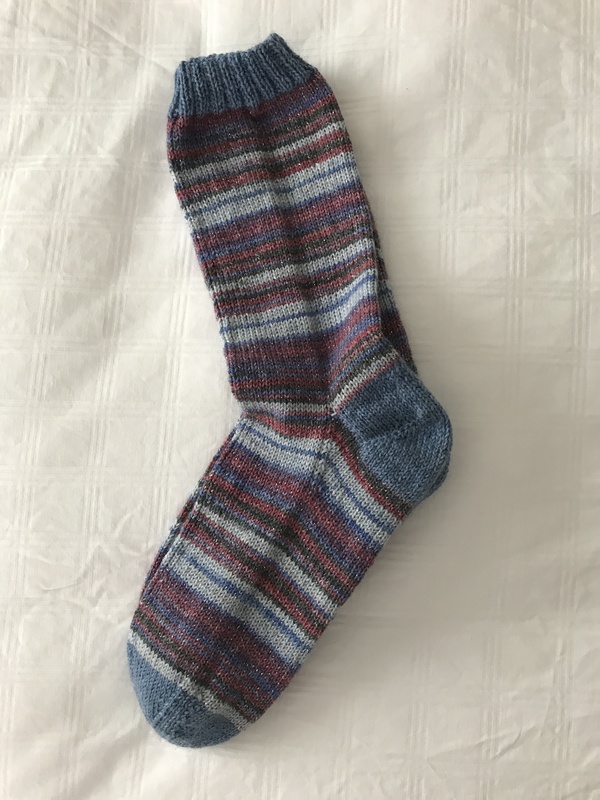 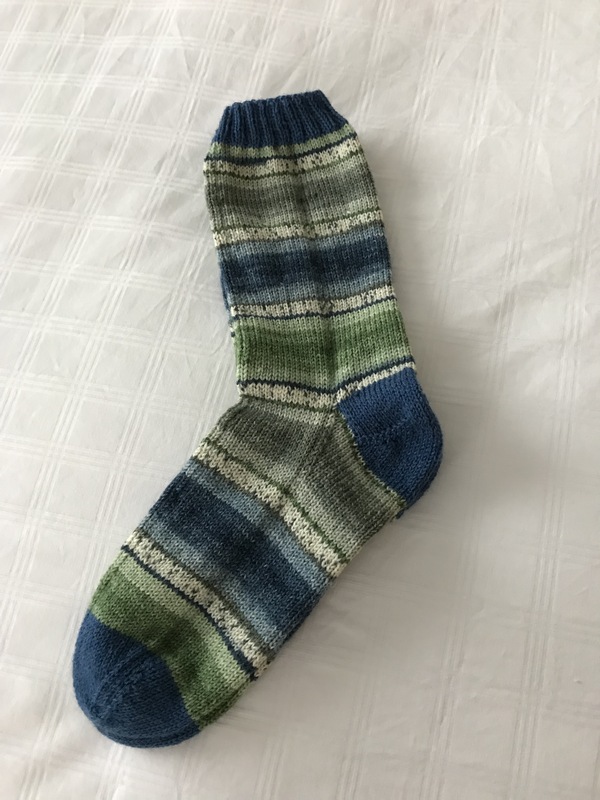 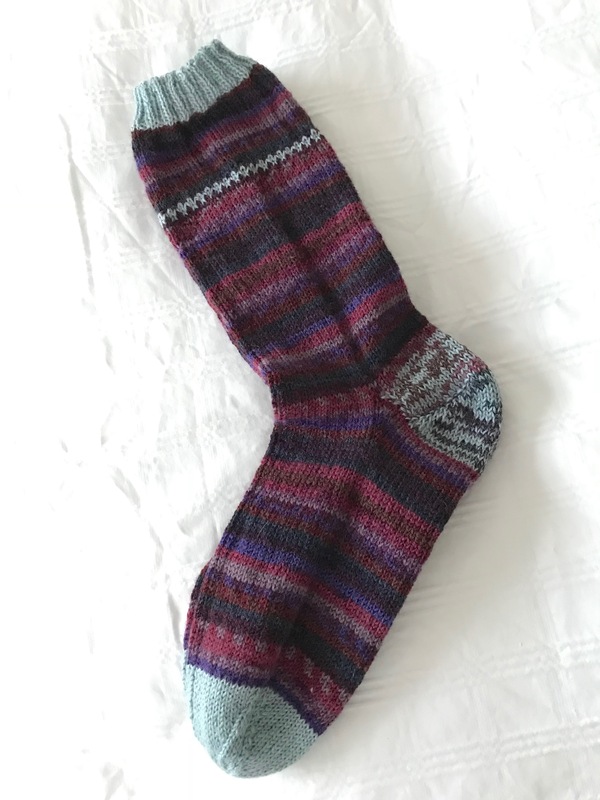 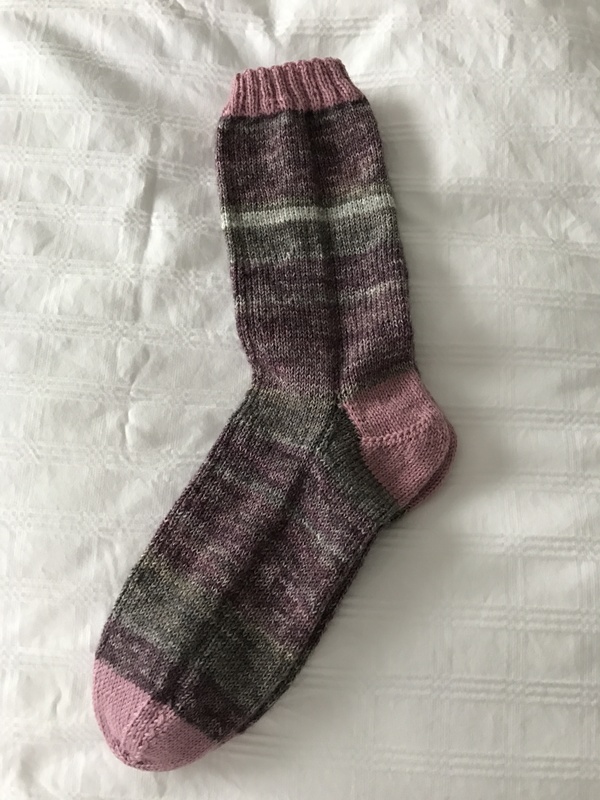 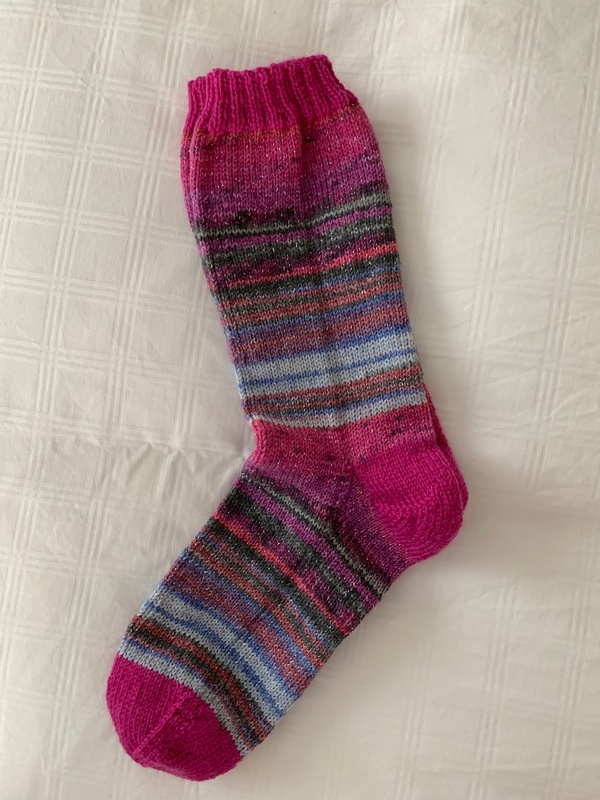 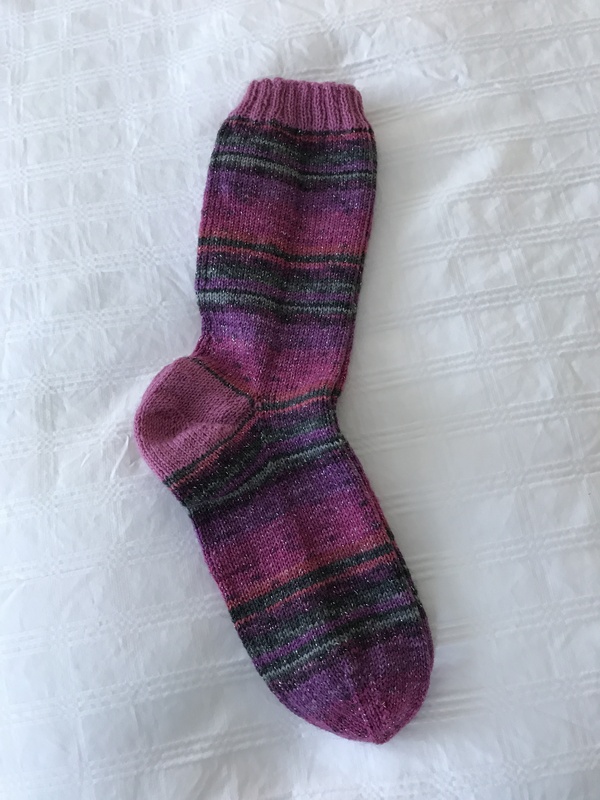 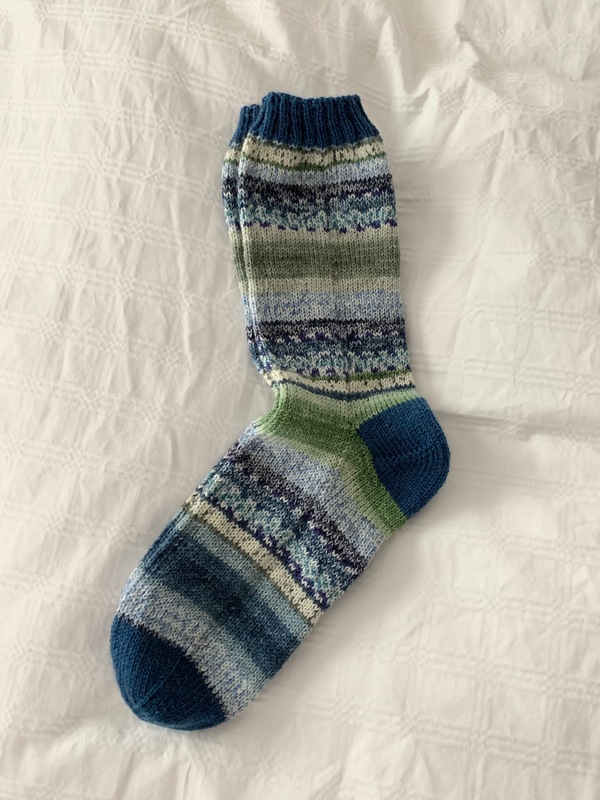 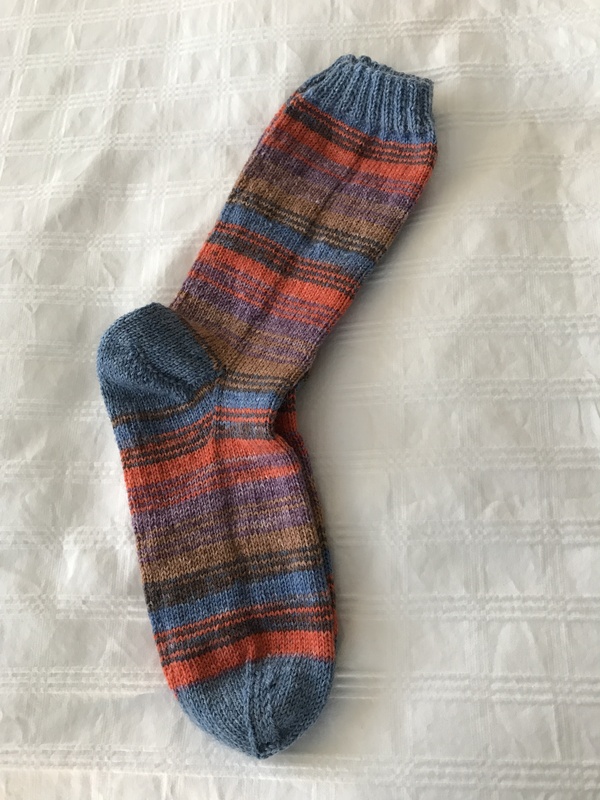 This is the latest pair of socks – finished last evening. 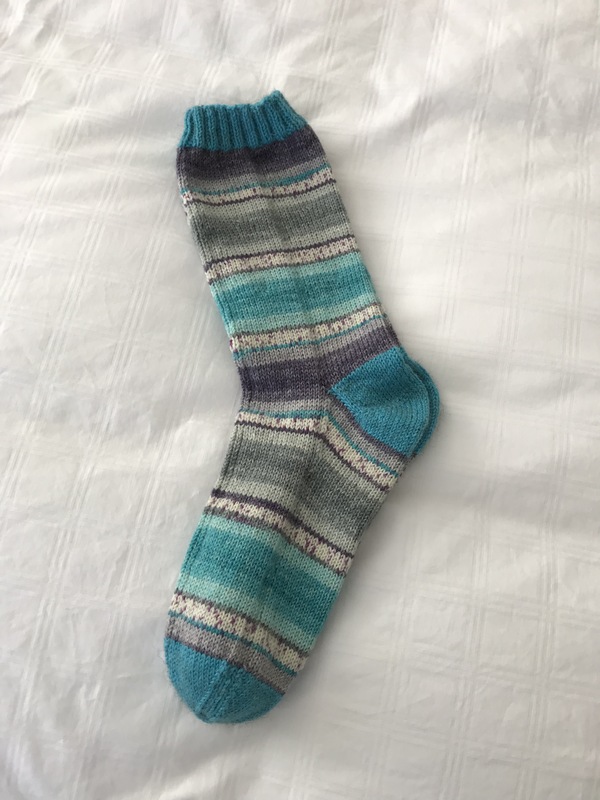 I bought two balls of Opal sparkle yarn and have now knit both. 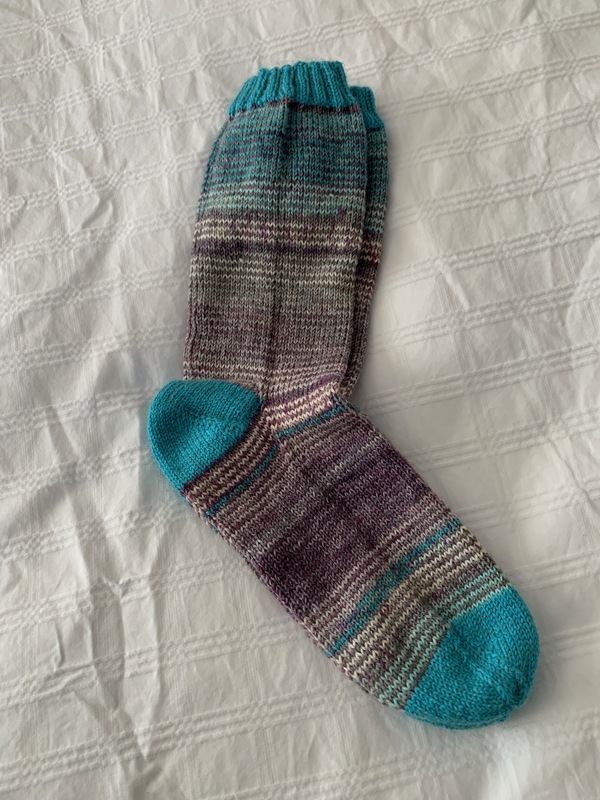 I like the stripes in this yarn and I like the wee bit of glitter the “fifth” ply provides. 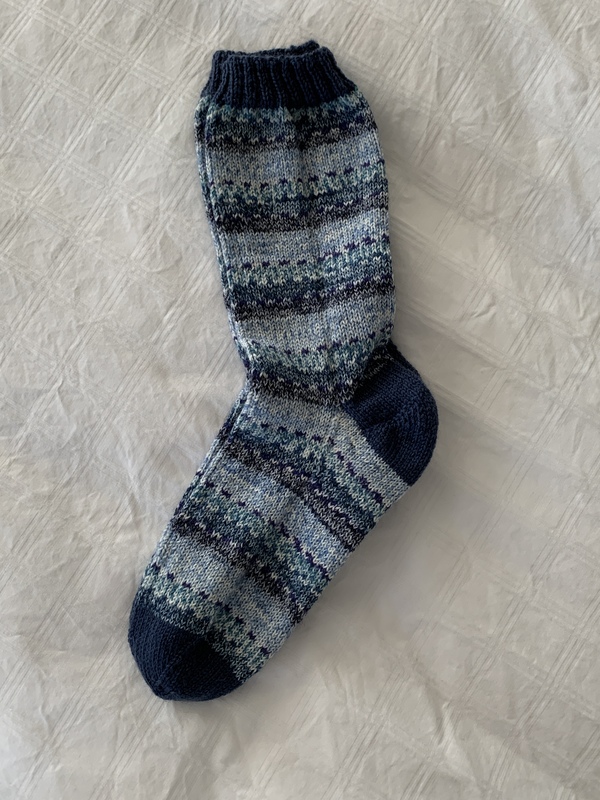 Because of where in the variegation the toe fell, I decided to finish the toe without changing yarns. 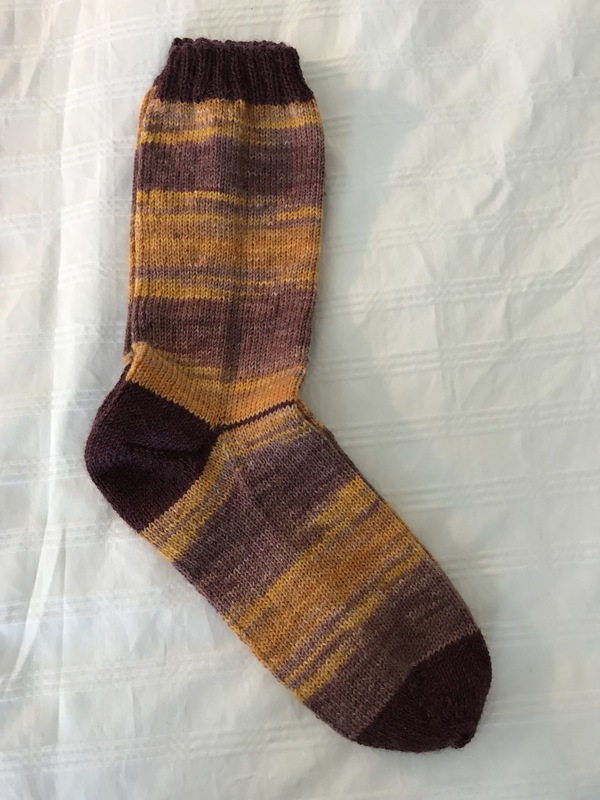 Worked out nicely. 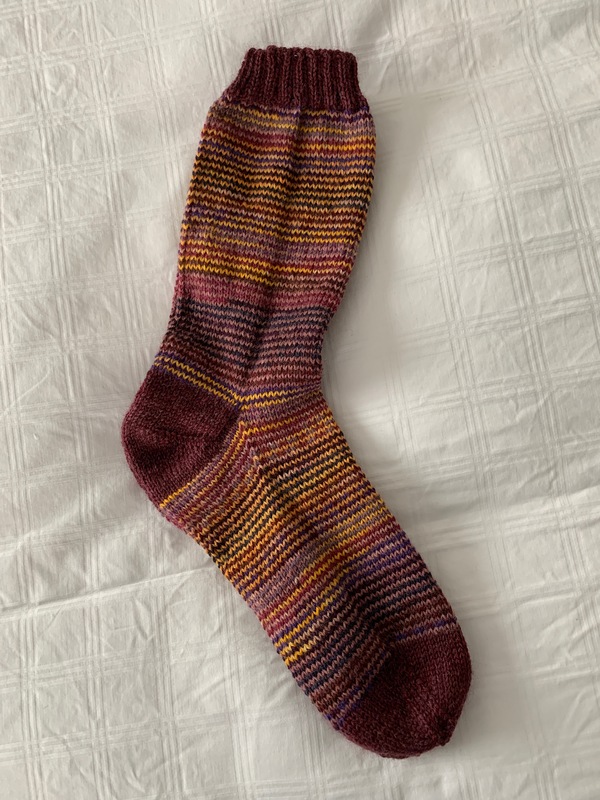 I’ve picked out the yarn for the next pair of socks which I’ll start this evening.